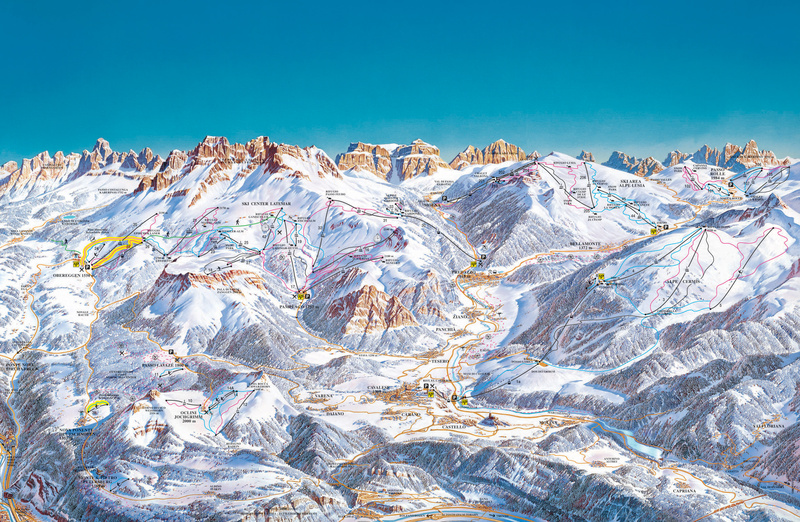 The Val di Fiemme Ski Area includes 7 Italian Ski Resorts with a combined total of 70km of downhill skiing, with 123 individual pistes, served by 60 ski lifts. 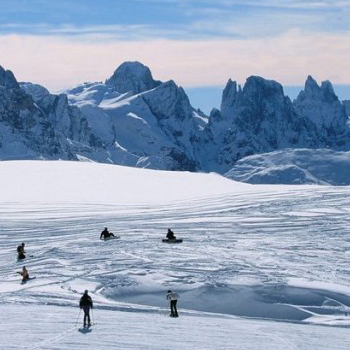 The appropriate Lift Pass allows you to ski or snowboard in any of the ski areas of Alpe Cermis, Alpe di Pampeago, Bellamonte – Alpe Lusia, Cavalese, Latemar, Passo Lavazè – Oclini and Passo Rolle. 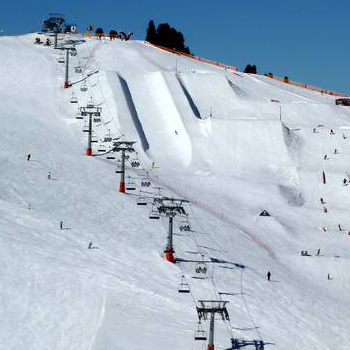 The main ski areas are accessed by shuttle buses. 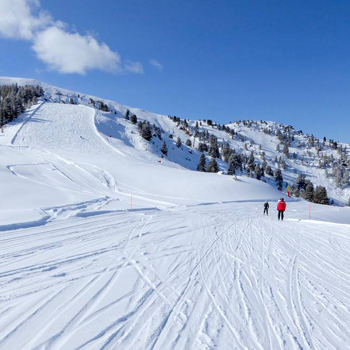 Beginners can enjoy the easy slopes of Alpe Luisa then progress to the blues of Bellamonte and thereafter to Pampeago where there are many blues, reds and blacks to savour. 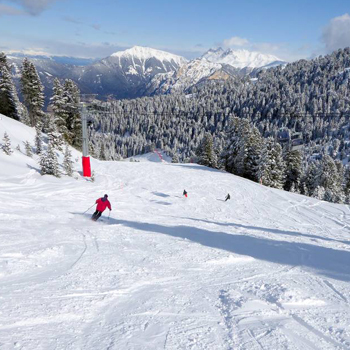 The mountain restaurants offer a variety of sud tyrolean dishes, a large Austrian influence, as well as fast food to cater to all budgets. We have a wide range of fantastic accommodation available. Contact us to find out more on what amazing deals we have available.